What a difference a few decades can make. Jan and I first visited Napa Valley in the 1970's and last visited it on our famous 2006, 13,000 mile ‘road trip’. On both our first and last visit to Napa Valley, we stopped at the Whitehall Lane Winery in St. Helena, CA. In the 1970’s, the ‘tasting room’ was little more than a table in the corner of the barn that housed all the wine making equipment. The last time we visited, they were in the process of completing a new building, so we tasted in a make shift temporary tasting room/gift shop. At every tasting, regardless of the setting, I was attracted to the wines and really favored their Merlots, even though they are noted for their award winning Cabs. The reason I mention this brief trip down memory lane about Whitehall Lane, is that I just had the opportunity to attend a Whitehall Lane tasting at the weekly Belfry Bistro tasting. It was a great chance to revisit their wines and catch up on new developments at the winery. The tasting was led by Scott Fitzsimmons, the Regional Manager for Whitehall Lane Winery and Vineyards, who was assisted by Polly Hemstock, the Sales Consultant with Classic Wine Imports, who is the Massachusetts distributor of the Whitehall portfolio of wines. In the three decades since my first visit, the winery had changed hands a few times. In 1993 the current owners, the Leonardini family, took control. They replanted the original Estate Vineyard, built a state-of-the-art winer, and acquired six other primer vineyards throughout Napa Valley. 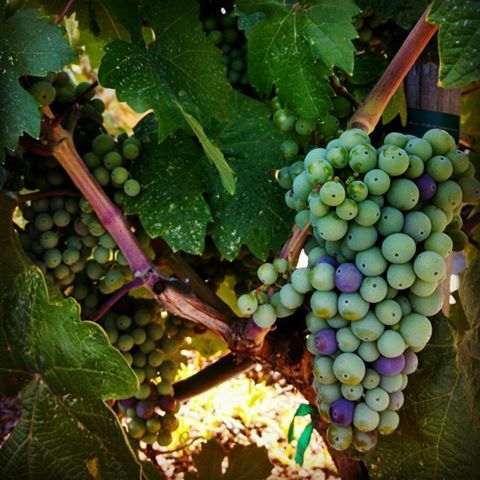 Whitehall Lane’s vineyards are recognized as the source of world class Cabernet and Merlot and any excess fruit is highly sought after by other well know Napa winemakers. Not surprisingly, the best of all the grapes goes into Whitehall Lane’s own special wines. During the tasting I attended, Scott wove the winery history and vineyard details into the introduction of the four wines we tasted. Scott stressed that their goal is to make wines that are very approachable and ready to serve immediately; explaining why they are very popular on many fine restaurants’ wine lists. We pre-tasted all the red wines at the beginning of the evening as we opened all the bottles to be served that night. As promised by Scott, they were all inviting, but as each was served, after breathing for anywhere from a half hour to an hour, the wines improved markedly. For the three wonderful reds we enjoyed, I would recommend decanting or at least aerating with something like a Vinturi to maximize your pleasure. We started the tasting with a light and lively 2011 Sauvignon Blanc paired perfectly with a House Cured Salmon Gravlox. I am not a big fan of the classic New Zealand, over the top grapefruity Sauvignon Blanc, but often find typical California Sauvignon Blanc bland, to almost tasteless. I liked this very much and plan to stock some at the inn to finish out the summer months serving it to our guests. Next we jumped into the reds and the 2010 Tre Leone Napa Red with Basque Extraordinaire Cheese and Fig Puree. This is the first release of this new wine, designed as a tribute to the three generations of the Leonardini family engaged in running the winery. 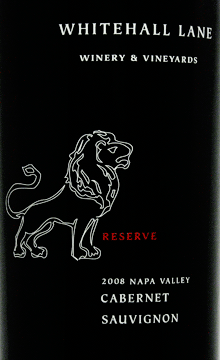 It is a proprietary blend of mainly estate grown Cabernet, Merlot, and Syrah. The actual percentage of each grape is not listed on the label or the website, but Scott did share with us that it is definitely Merlot based. Maybe that is why it was my favorite of the night, going back to my longtime affinity for the Whitehall Lane Merlots. Next we had the 2009 Cabernet Sauvignon matched with the Pan Seared Duck Breast. The final wine and pairing so outshined this wine, that I all but forgot this third round of wine and food. So what was the last wine you ask? The high note and close of the evening was the 2008 Cabernet Sauvignon Reserve and the Chocolate Espresso Mousse. This is a prime example of a classic Napa Valley Cabernet with just a touch of Malbec. Scott lovingly explained its pedigree and stressed most Napa Valley Cabernet Sauvignon Reserves of this quality, including wines from famous neighboring wineries, is selling for half again as much as this wine. Interesting, this premium wine no longer uses a cork; they have gone to the Vino-Seal™ glass closure, just one more change for the better that can happen in a few decades. I guess I have changed as much as Whitehall Lane has over the years, but I think wine still keeps me fresh. 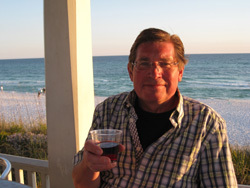 Come and stay at our Sandwich Inn and let me share some wine and wine stories with you. I may not have the Reserve and mousse available, but I bet we can find a very good Merlot and some chocolates.